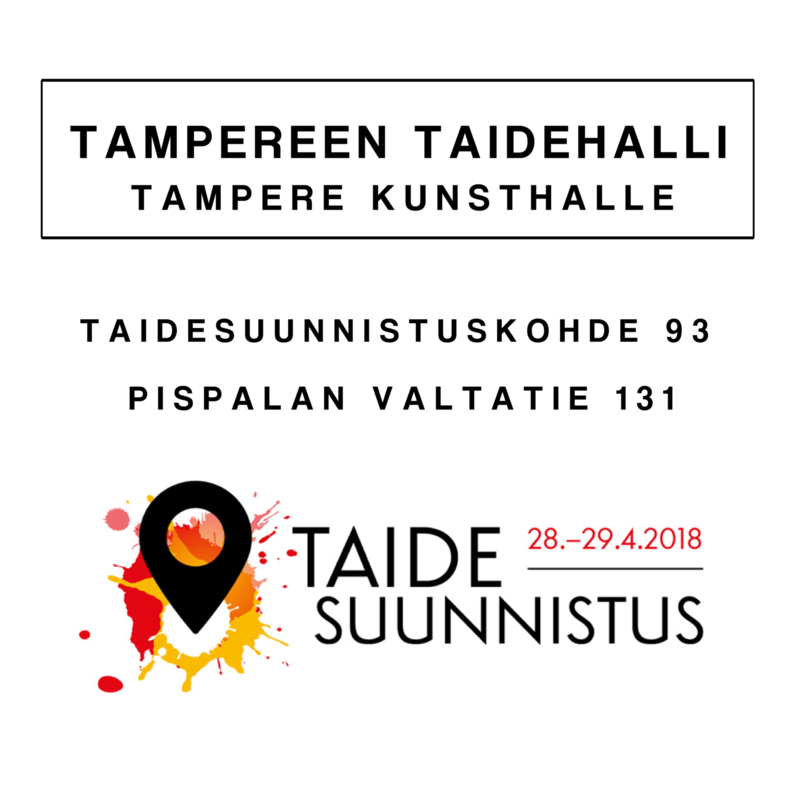 During Art Orienteering 2018 Tampere Kunsthalle presents the best works of Yösäilö vitrine gallery throughout years 2016-2018. Exhibition features all the participant artists of Yösäilö. Exhibition is installed in the refreshingly cool bank vault downstairs at Kunsthalle. Pipsu Isola, Tiina Lehikoinen, Niina Lehtonen Braun, Sebastian Lindberg, Eeva Meltio, Pasi Rauhala, Aurora Reinhard, Teija Rintaluoma, Linda Sestrajcic, Heidi Suikkanen, Suohpanterror, Iiu Susiraja, Tuomas Tiainen, Lasse Ursin, Susanna Vuorio and Katri Yli-Erkkilä. Yösäilö vitrine gallery is also currently presenting Alma Peltola. Kunsthalle’s street level is dedicated to our artists’s own works. Happy orienteering and see you soon! Tampere Kunsthalle (former Tesoma Kunsthalle) is a is a collective, self-organized studio and do-it-yourself-exhibition space all in one.